Initially in 1994 Ozar Vikas Sanstha started Vishwasattya English Medium School. The Vishwasattya English Medium School runs class’s up to Xth. In 2004-05 Ozar vikas sanstha started Vishwasattya Junior & Senior College of Art's & Commerce. In 2005-06 Ozar Vikas Sanstha started Vishwasattya College of Education. By 2006-07 Ozar Vikas Sanstha started Vishwasattya D.Ed College & by 2008-09 Vishwasattya Nursing (R.A.N.M) School. By 2009 - 10 Vishwasattya MBA College. Vishwasatya DT Ed College, Nashik started its first academic session of imparting quality education to the aspirants in 2005. The educational institution is affiliated to Maharashtra State Council of Educational Research & Training, Pune (SCERT, Pune). The college is also recognized by National Council for Teacher Education (NCTE), Bhopal to conduct two years of Diploma in Teachers Education (D.T. Ed) course. Vishwasatya DT Ed College, with the intention to produce competent teachers, has equipped itself with all the mandatory facilities. The one of the upcoming DT Ed College works under the guidance and sponsorship of Ozar Vikas Santha. 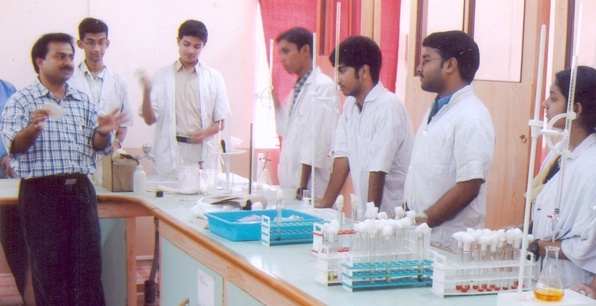 provide well qualified and dedicated faculty. Innovative approach for discussion, experiments and various other teaching techniques. Music and sports activities are part of our curriculum. Practice-teaching-schools and play ground available. Punctuality, attendance and strict discipline is maintained. The College is situated in beautiful surroundings in a spacious ground with all infrastructural facilities. It has spacious auditorium, lecture halls, staff rooms, well equipped laboratories, spacious and well equipped library.